Headlines like “Recycling Chaos in U.S. as China Bans ‘Foreign Waste,’” “China’s Waste Import Ban Upends Global Recycling Industry” and “China’s Foreign-Waste Ban Could Have Recycling Repercussions in America” showed up after China limited importation of solid waste from other countries last July. The new policy took effect at the beginning of this year. And while experts predict it will have less impact in Michigan than in some other places, recycling programs in the state are taking steps to deal with — and perhaps benefit from — the change. The Chinese ban forbids importation of 24 categories of solid waste, including certain types of papers and plastics, according to the World Trade Organization. The rationale offered is to protect Chinese people’s health and the environment from contamination from mixed and unsorted foreign solid waste, according to the country’s announcement. The impacts of the ban in the U.S. vary by business and geographic area, said Marty Seaman, the executive vice president of the Resource Recycling Systems, an Ann Arbor company providing recycling services. 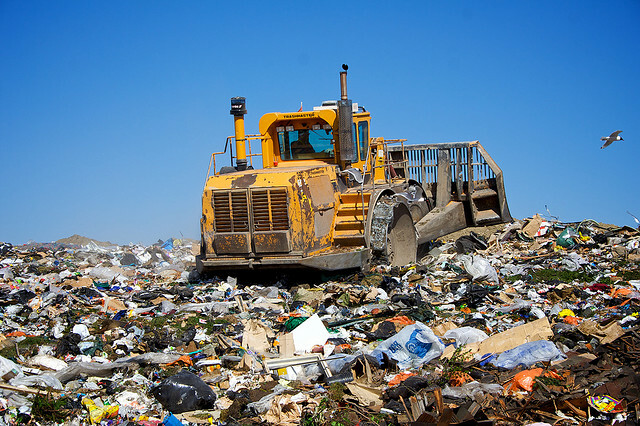 For almost two decades, China imported waste from other countries to meet its need for raw materials and became the top buyer of waste in the world market. In terms of Michigan, Kerrin O’Brien, executive director of the Michigan Recycling Coalition, a statewide group based in Lansing, said the ban won’t have as significant an effect as it does for West Coast recyclers. Chris Luchies, the coordinator for Recycle of Mecosta County, said people at a community level aren’t aware of its impact. “I hope about the future that we can recycle by our own, not rely on China,” Luchies said. As for the West Coast, O’Brien said recyclers have depended on the Chinese market because exporting waste there by ship reduces the costs of transportation and creates cost-effective recycling. Since the ban took effect, “offshore demand for recyclables decreased, West Coast recyclers are looking for markets in the interior of the country and the excess material drives down prices for recycled commodities in the interior,” she said. In the short term, “those lower prices make it harder for recyclers to cover their costs or make their profit margin,” O’Brien said. However, in the long run, she said lower prices of recycled material will attract the interest of manufacturers in Michigan and elsewhere in the U.S. to use recycled material and will eventually enhance existing domestic markets and create new ones. Flechter said the ban also will provide U.S. recycling industries with more job opportunities. For example, he said China often undertook the tasks of cleaning up and classifying mixed and unsorted recyclable material imported from foreign processing and recycling facilities. Flechter and O’Brien said recycling programs in Michigan are responding to the export ban in several ways: Slowing down the recycled sorting line to remove more contamination, educating residents and businesses to correctly classify recyclable products, and encouraging local manufacturers to use recycled material. And Seaman said communities should educate their residents to sort materials into the right recycling bins. Currently, the recycling rate in Michigan is at the bottom of the Great Lake states’. Sean Hammond, deputy policy director of waste/recycling issues at the Michigan Environmental Council, said only around 15 percent of waste produced in the state is recycled rather than going to landfills. Compared to the 30 percent average recycling rate in the nation, Michigan has a long way to go to catch up the rest of the country, he said.